Our readymade crackers eCommerce software platform offers high-level shopping experience to your store visitors with a lot of scalable, flexible and customizable features. Set up your fireworks eCommerce store today and simplify your efforts with easiest ways to sell online! Minimize your development cost with our feature-rich ecommerce scripts. Start your Crackers Online Shop! Are you a retailer or wholesaler into the firecrackers business? Convert your offline shop into online store with India’s leading ecommerce platform developed by EWDC. Reach consumers online with our fully integrated crackers online store made for online retailers who want to get into the business on selling crackers online. 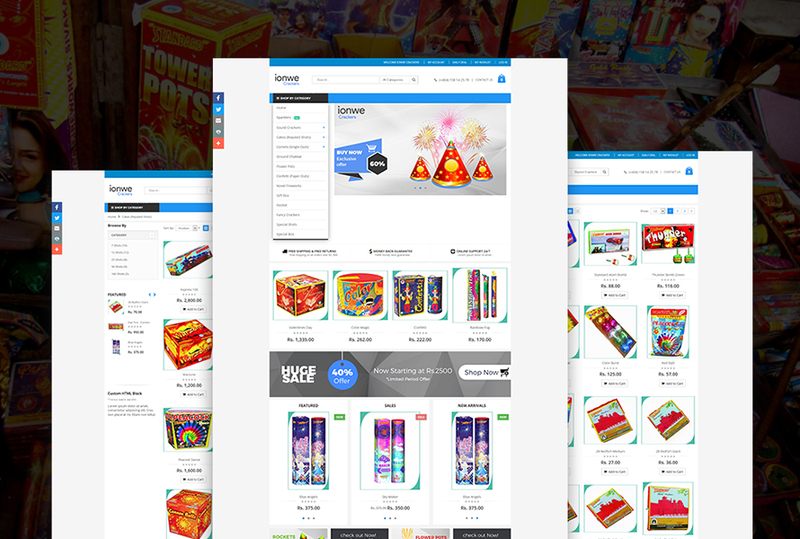 Our innovative ecommerce solutions are tailored to increase the sales and revenue of your fireworks business through ready-to-go website for online retailing. If you are looking out for the best crackers ecommerce website development company to build your online shop, EWDC would be the best choice. Robust platform, mobile-friendly, highly customizable, and easily manageable inventories are some of the ultimate features that are best coded into our ecommerce crackers script. Buy our readymade firecrackers ecommerce website to skyrocket your Diwali crackers sales this year!! 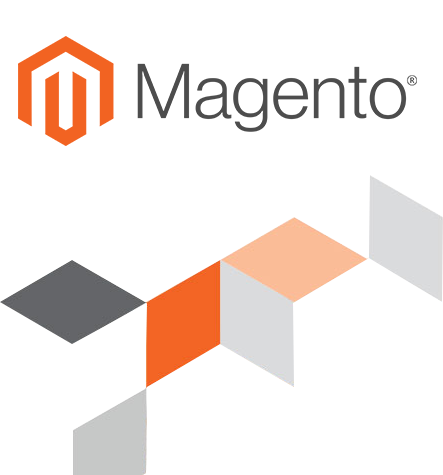 Magento holds a quarter of the eCommerce websites in the entire online market with large community following. It is widely accepted as one of the most popular robust eCommerce platforms to build your very own online shopping website! With extraordinary shopping cart functionalities and plethora of features, Magento allows you to seamlessly integrate your website with our readymade crackers eCommerce software. So would you like to jump into the bandwagon of building your fire crackers online website with the world’s largest eCommerce marketplace? What credentials should I provide you to install your readymade fireworks eCommerce script? You will be requested with the domain login details and your server access credentials that are required to set up your very own eCommerce crackers store. You may contact our expert eCommerce developers for further assistance on post-installation and product catalogue management. Our developers will make all the setup and configuration required to up and run your very own fireworks online selling website. Our user-friendly installation features makes it easy and convenient for you to launch your online shopping crackers store. What server do I need to run the crackers ecommerce software? All you need is a dedicated web server to make sure your eCommerce website offering a hassle-free shopping experience to your visitors by running up for 24*7 on high performance secure servers. Do you provide support after the product purchase and how much does it cost? Yes, we do provide one year after-purchase support to our products from us via phone, email or online live chat. For in-depth support or assistance, you can avail our support service at additional cost which could be discussed during the time of purchase. We support few payment gateways including PayPal, PayUBiz, E-Billing Solutions (EBS), Billdesk, CCAvenue, etc., that could be easily integrated on to your custom-made crackers online store to accept money from multiple payment providers. PayPal do not require merchant account to accept credit card payments, hence you may start with it for your startup eCommerce crackers shop. Yes, we accept cash-on-delivery with a small initial payment for beginning the process of integrating your website with our platform and based on your requirements will vary further!